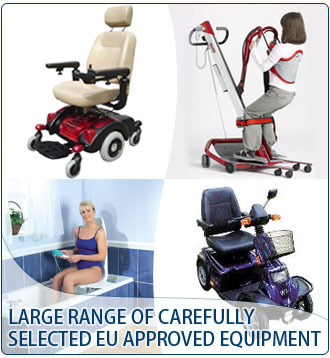 An electric mobile hoist designed for transfer from either chair height, bed or floor level. 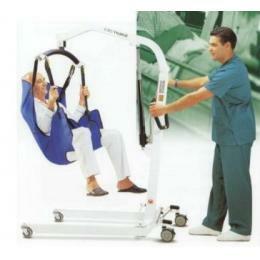 Padded spreader bar rotates through 360 degrees. Adjustable "U" shaped base with locking positions. Curved steering/push handle at top of mast. 3" Front swivel easy-glide castors. 4" Back swivel easy-glide castors with lock on brakes. Hand held electric controls on extendable cord with hook to allow attachment to mast. Emergency stop and lower control. Suitable for use with a range of slings.